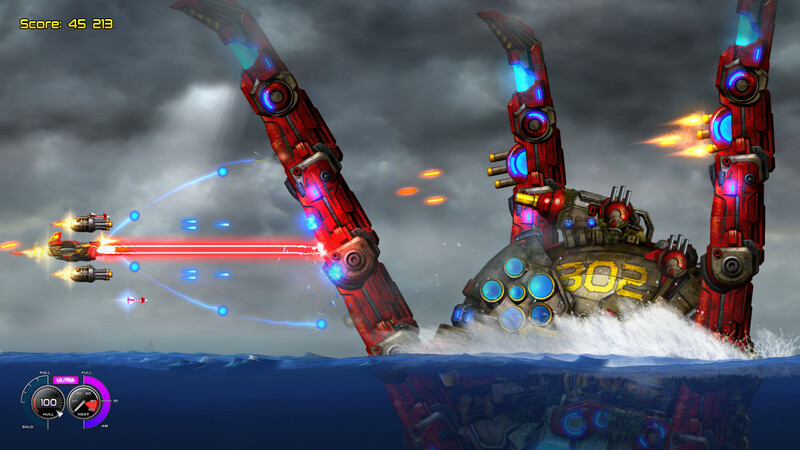 Yes, it's a euroshmup, but, Sine Mora excepted (which, after all, had Japanese art direction), it might well be the best looking euroshmup I've ever seen. Just watch the trailer and see for yourselves. Merely the fact that it's a sequel and that the devs didn't give up after the first game and jump to another genre, but are still going at it, and still trying to improve all these years later, is reason enough to take a good look at their efforts and see how close they are getting to our glorious Japanese (and some Korean) overlords. And that's precisely what we'll be doing soon enough on Insomnia. Until then, check out the info below. That ship upgrade screen is nuts. No idea how they plan to balance all that stuff in the context of a shooter, but it's worth finding out. 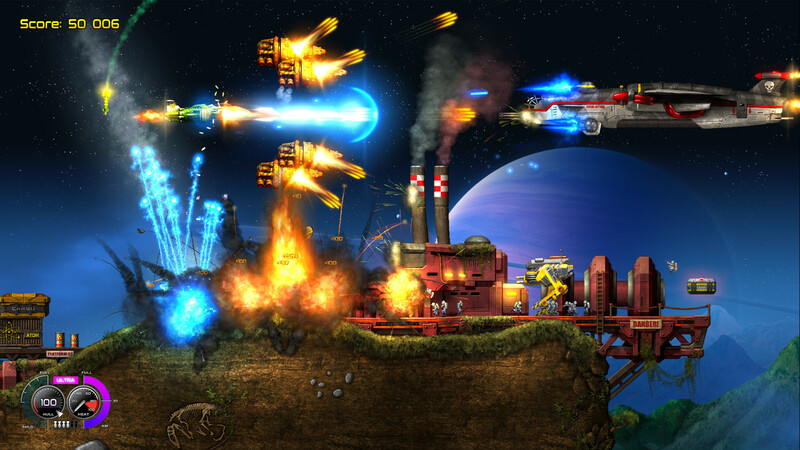 Rake in Grass wrote: Side scrolling shooter with insane level of action and destruction! 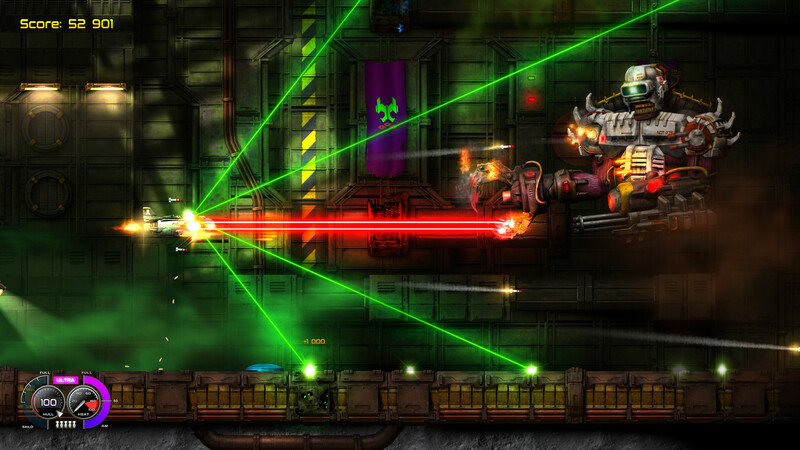 Assume a role of a brave space pilot and jump into an epic adventure across the universe to save it from inevitable doom! 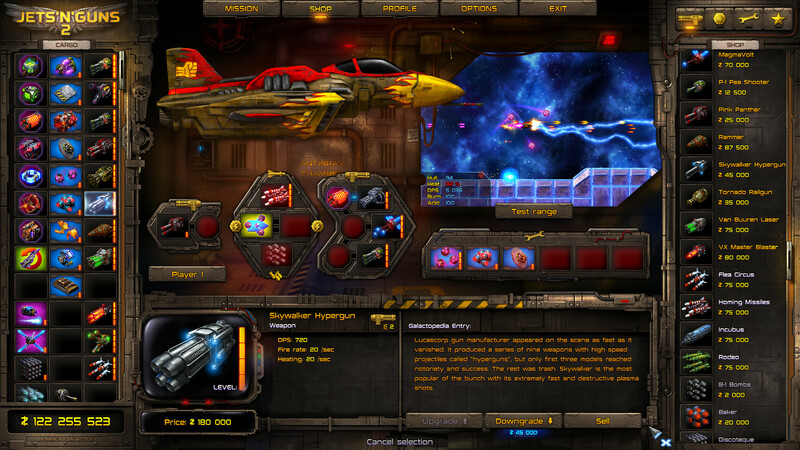 Unleash arsenal of the deadliest weapons and devices ever installed in a spaceship! Game is in Early Access, by the way! Came out a couple days ago, has been in the works for two years already, and will remain in EA for at least one more. And it is planned to have 12 stages when it's done. Those are some crazy numbers, but no one can say the devs aren't ambitious, and this could well end up being the best euroshmup ever... or a glorious trainwreck. We'll know soon enough!